It’s time for Eco-novice’s Great Green Guide Giveaway, during which I will be giving away at least four different books about green living. These are books from my own library that I am ready to pass on to another eco-novice. This book by green blogger Deanna Duke (a.k.a. The Crunchy Chicken) chronicles Duke's efforts to live free of toxic chemicals. Duke, who is a long-time environmentalist and parent of two, used to believe that products sold in stores were generally safe since the FDA said they were. Although she started to think otherwise after reading Slow Death by Rubber Duck, still she was satisfied to let other environmentalists focus on toxins in products while she concerned herself with reducing waste and energy use. Then in 2007 Deanna received a "Double Whammy": members of her family were diagnosed with autism and cancer. Deanna was forced to confront the reality that environmental toxins, including those her family was exposed to through the use of everyday supposedly safe products, most likely played a role in these conditions. She then undertook a mission to reduce her family's exposure to toxic chemicals. The Non-Toxic Avenger chronicles these efforts. Unlike most green guides, The Non-Toxic Avenger is not organized by rooms or by types of toxins. Instead Duke's book is chronological, and reads a lot like a series of blog posts. If you like Duke's blog Crunchy Chicken, you’ll probably enjoy her book. The book does have a great index and lots of descriptive subheadings, which makes it easy to go back and find particular sections later. One of the strengths of Duke's book is that it really shows what trying to eliminate toxic chemicals is like, how difficult and maddening it can be. The incomplete labels. The endless internet research. The intransigent family members. How you think you’ve said goodbye to Teflon or BPA or phthalates, and then there it is again in a new guise. It's also fascinating how Duke gets herself tested for a variety of toxic substances before and after her numerous lifestyle changes to see if her levels changed. Finally, in her book Duke names specific products she and her family loved or hated. I found these explicit product recommendations (and criticisms) very helpful, and have since tried and enjoyed many of her recommendations. 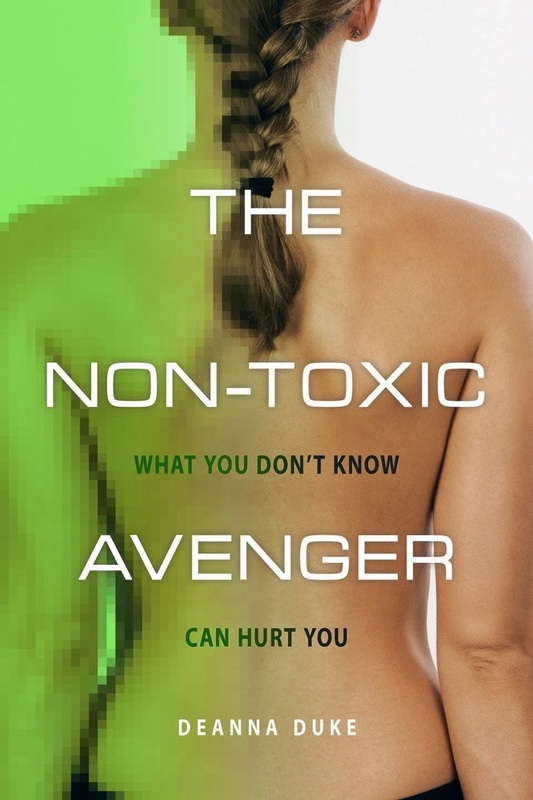 You can read an excerpt from The Non-Toxic Avenger in this blog post. 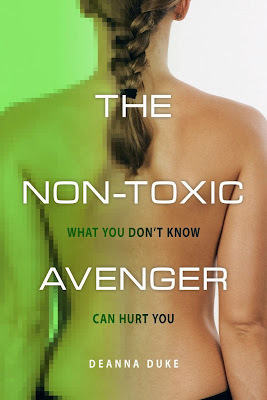 You can read my interview with Deanna Duke about her transformation from a trusting consumer to the Non-Toxic Avenger in this blog post. Enter to win The Non-Toxic Avenger below. The book is in used condition, and has some underlining of the text. Contest is open only to those with a U.S. mailing address, since I will be mailing it by media mail. Giveaway ends December 14. Hopefully, you’ll receive them in time for gift giving! You need a rafflecopter log in to enter below -- I'm hoping that's less hassle for you than leaving your email in the comments! Stay tuned for additional giveaways! I read and reviewed this book. It was wonderful and completely eye opening on how much toxic products we use. I strongly reccommend this book to everyone who want to clean up their body burden. This book has been on my short list of books to read.